James loves animals. Since he was a little boy he had dreams of working in the veterinary field. His favorite animal is the pig. Unfortunately when it came time to take the state leaving exams to move on to university studies, James did not score high enough to move on. He was very disappointed, but he didn’t give up. James had to face adversity from a very young age when his mother passed away. His father has never been a presence in his life. 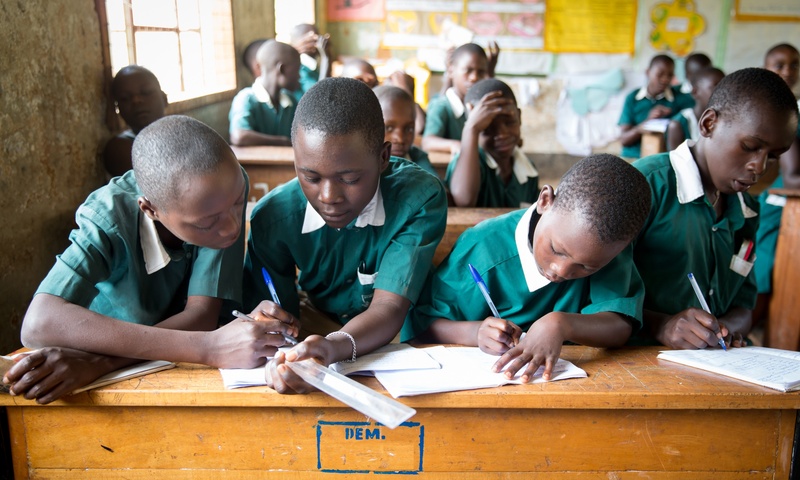 That’s why Sr. Florence, Headmistress of St. Alphonsus Demonstration School, took James under her wing and soon thereafter, John and Kathy D. started supporting his education through CARITAS’ Uganda child sponsorship programs. When James realized his dream of veterinary school was not going to happen, maybe it was the experience of overcoming challenges, and likely it was knowing Sr. Florence and John and Kathy were there for him, that helped him to persevere. James' education has been supported by John and Kathy D. since he was nine years old through CARITAS' Uganda child sponsorship programs. “I’m satisfied, of course, because I like my course,” James said. He has his first year behind him of a two-year program. Usually, four months of industrial training with a private company are completed after the first year but because of the high number of applicants, James didn’t get in this year. He’s not sitting idle though, he is spending time working on the Sister’s school farm on the Stella Maris campus. James is weeding and planting, growing matoke and Sukuma Wiki, similar to collard greens, both staples of the Ugandan diet. 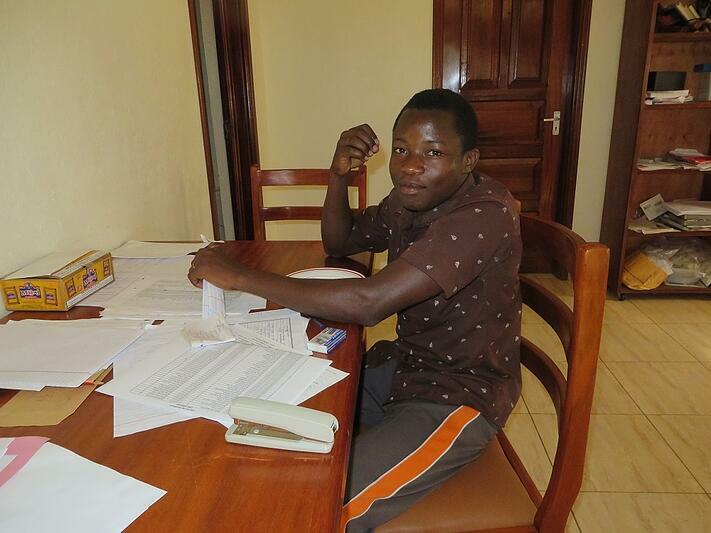 James’ work ethic will serve him well when he completes his studies and is looking for a job. After his second year is complete, this coming November, he will have earned his Craft Certificate. He will then participate in the required Industrial Training. James says that getting a job after that depends on his initiative. “It requires me to be hard-working when I go for my industrial training. Because when I show that I’m hard-working there, they can retain me, and I stay with them and I work with them when they are paying me. So I have to be energetic,” James said. He doesn’t want to stop there though. In June of 2017 he hopes to attend the Nakawa Technical Institute in Kampala and earn an Advanced Certificate. That requires an additional six months and can offer more career opportunities. There are other young people like James who need vocational or university studies to become self-sufficient. Please consider donating to CARITAS For University which provides funds for young people with ability and ambition, but no financial means to achieve their dreams.